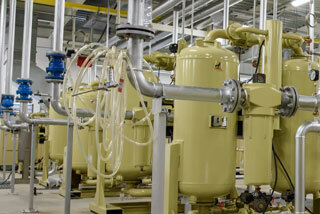 We provide innovative technology solutions to help you manage and monitor your medical gas system. Whether it is a hospital, surgical office, surgical center, hyperbaric, dental clinic, or a veterinary hospital, our certified staff can come to your facility and create a detailed inspection that will meet ASSE 6000 and NFPA 99 standards. When deficiencies are identified, Mercury Medical certified technicians can provide the solutions. 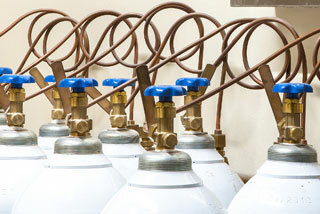 We also provide medical gas equipment sales and ASSE Training Classes. Our ASSE 6030 certified technicians can provide a detailed report of your medical gas system from source to outlet. We use the Enmet Matrix Analyzer providing real-time analysis and verification of medical gases to ensure compliance with NFPA 99 for testing new construction and existing facilities. Our report will help you pass your Joint Commission and Local Authorities inspections. Mercury Medical verification will identify deficiencies within your medical gas system and our certified technicians will provide preventative and repair services as needed. If you’ve already had your verification inspection, please allow us to provide a repair cost for any deficiencies found. Mercury Medical ASSE 6030 and 6040 technicians can provide a detailed preventative maintenance contract to fit your facility. Preventative Maintenance is a requirement, not an option. Ignoring your equipment maintenance can result in premature failures of your source equipment, which can result in expensive replacement. We can help with budgeting future equipment repair/replacements, by providing end of life time frames for all your equipment. We provide Shutdown consultation to help organize and appropriately manage down time due to construction and emergency medical gas interruptions. 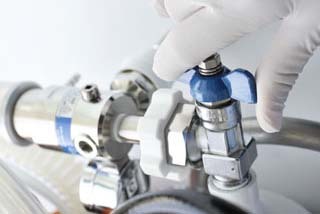 Mercury Medical technicians will help mediate the inconvenience involved with your medical gas interruptions and find the best solutions for limiting down time. We offer as an additional cost our regulators and portable vacuum pumps when performing a medical gas shutdown at your facility. 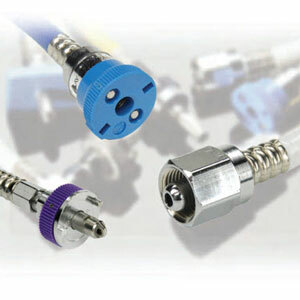 The installer course applies to installers of medical gas piping and associated equipment. It is a 32-hour course which will provide an understanding of the ASSE 6010, NFPA 99, and NFPA 55. This course includes a practical and written exam. This course applies to those who inspect medical gas installations, engineers, state and local inspectors, and those who would like to know more about compliance within the medical gas field. This 24-hour course provides an understanding of the ASSE 6010, NFPA 99, and NFPA 55 and includes a written exam. It is now a requirement for facilities to have someone who has been certified under the ASSE 6040. This course applies to anyone who works at a facility where medical gas is maintained by the staff. Any scheduled shut downs, outlet repairs, preventative maintenance, or handling of related equipment, requires the ASSE 6040 certificate. It is a 32-hour course which will provide an understanding of the ASSE 6010, NFPA 99, and NFPA 55. This course includes a written exam and an addition instructional demonstration. We provide preconstruction plan reviews. Our sales staff can provide detailed information from a vast collection of manufacturer equipment. All plans are reviewed for NFPA 99 code compliance. Documentation can be provided for Value Engineering. We provide a Brazing Installers Kit for our ASSE 6010 Installers. Classes for the installers are also available.